Whether you’re heading off on bub’s first trip or your mini-me is a mini frequent flyer, a travel pram can make holidaying with kids a whole lot smoother for everyone. Travelling with a baby or toddler, you are guaranteed to have your hands full – literally. So what you are looking for in a travel pram is something light as a feather, super compact, easily foldable plus all the features you normally look for in pram. Too much to ask? Never. 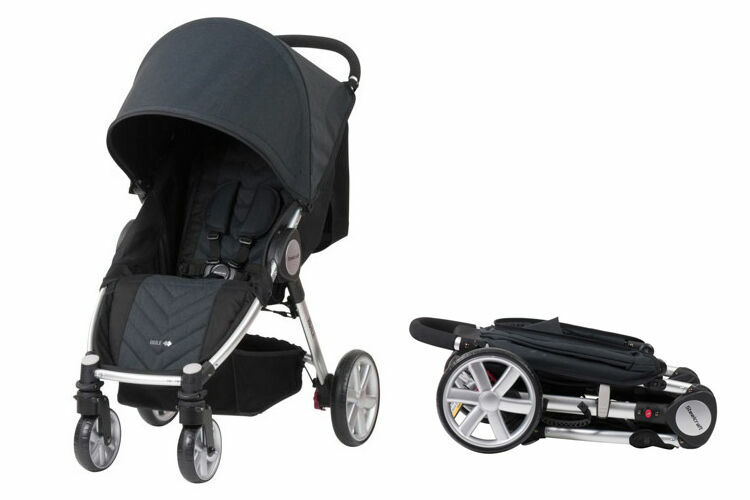 These days there are plenty of options out there so you don’t have to substitute features for an ultra-lightweight pram. You can have your cake and eat it too! 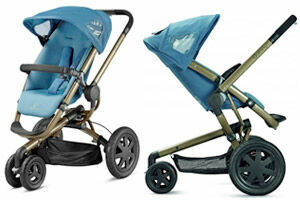 Here are some key features to look for when choosing a travel pram. Lightweight: When carrying children and luggage on top – the lighter the better. 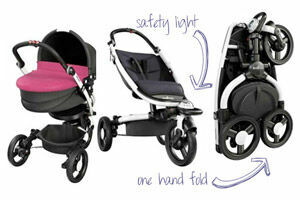 Foldability: You do not want to fight with your stroller to get it into the car or at the gate. A travel pram should easily fold up and give it bonus points if it can stand up on its own. Safety: Keep your bub secure with a 5 point seatbelt harness. Option to Recline: A reclining option for naps makes staying out and about that much easier. Extra Large Shade Canopy: Chasing the sun? An extendable or adjustable sun canopy is essential if you visiting somewhere hot and sunny. Air Vents: A nice feature is if the stroller has an option to zip open an air vent to keep your child cool in hot weather. Large Storage Basket: Traveling anywhere with a bub involves stuff. A large storage basket under the stroller is something to look out for. A Carry Strap or Carry Bag: Let’s face it – you will have your hands full. So a strap or a bag so you can just sling it over your shoulder. 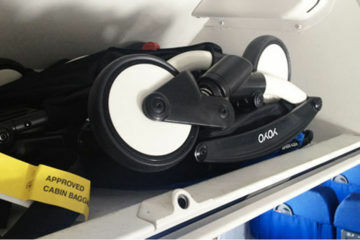 Likewise, to protect your stroller in transit, you may want to invest in a stroller carry bag. Having your pram right there when you disembark after a flight can be a godsend. Not to mention, one less thing to pick up from the baggage carousel. Carry-on restrictions vary between airline carriers so you will need to check directly with your chosen airline for specific cabin luggage requirements. From jumping in and out of the car to family holidays and last-minute day trips, these lightweight travel prams are perfect for parents on the go. Sure to make lifting, pushing, carrying and packing a breeze, plus some can even fit as a carry-on when travelling by plane, train or bus. 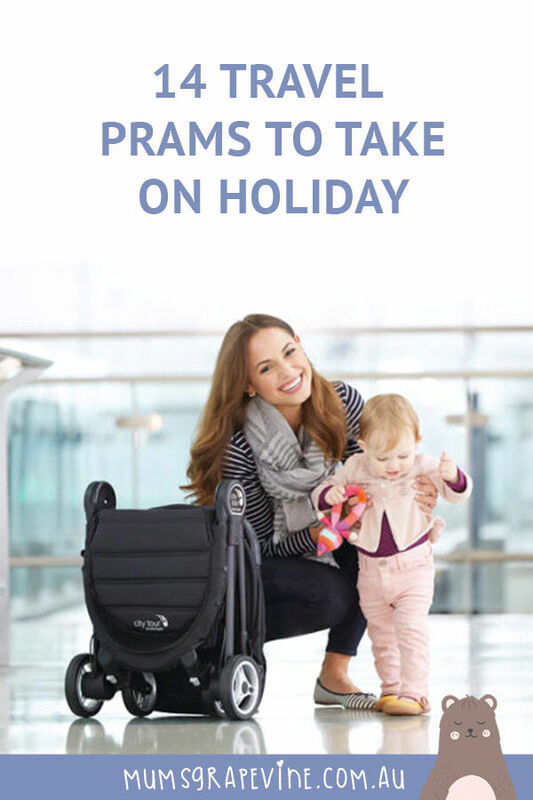 So, here are the best travel prams available in Australia. 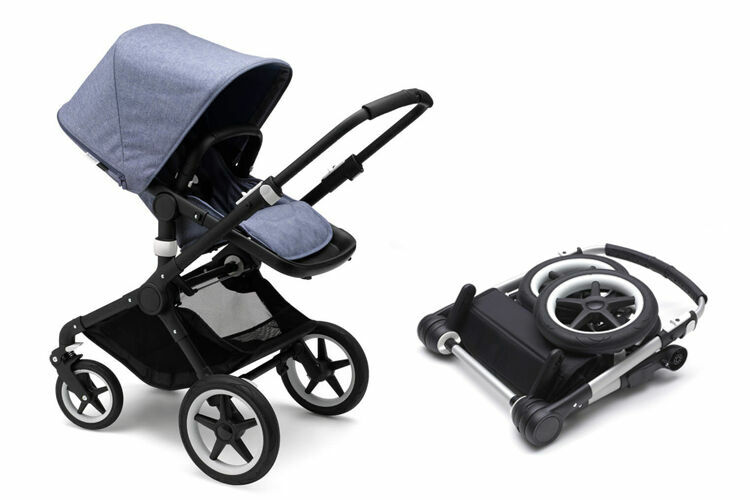 Silver Cross Jet ($599.00): Just landed, the brand new Jet is an ultra-compact, lightweight travel stroller that can be used as carry-on luggage and wheeled like a small suitcase. With all the features you would expect from Silver Cross, your little one will be travelling in style. 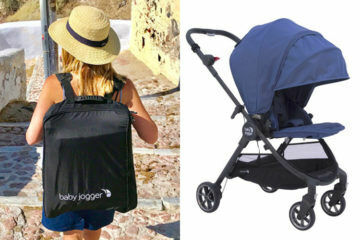 Baby Jogger City Tour™ ($479.00): The ultra-portable City Tour™ folds small for big adventures. 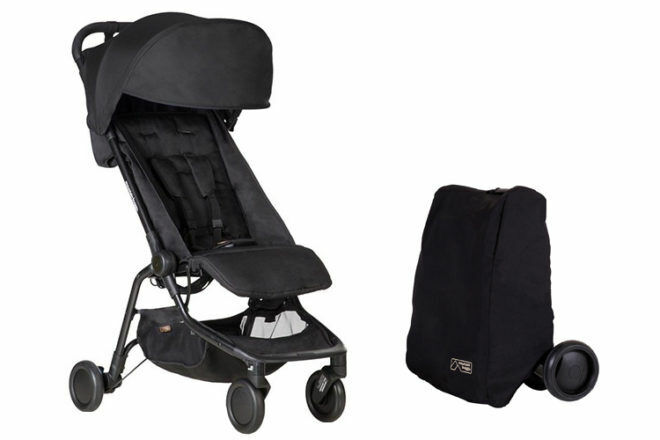 With its own convenient travel backpack, this travel pram makes road, plane or day trips a breeze. 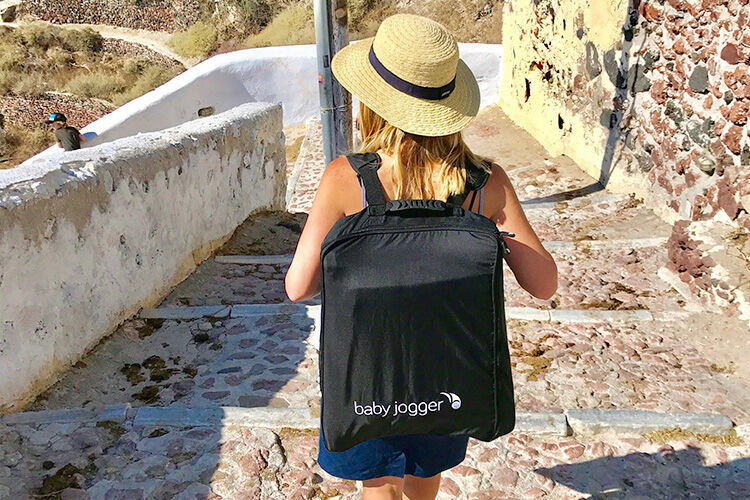 Mountain Buggy Nano ($399.00): Super lightweight – we’re talking less than 6kg – the Nano promises a convenient travel solution with the quality and safety that comes with the Mountain Buggy brand. 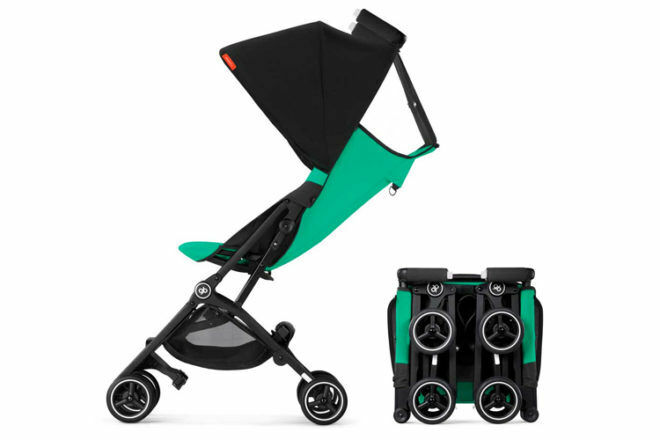 Babyzen Yoyo ($699.00): Just like our favourite 80’s toy sharing its name, the Yoyo travel pram is one-handed fun – easily folded and maneuvered with just one hand. The original ‘onboard buggy’ it is lightweight and compact. 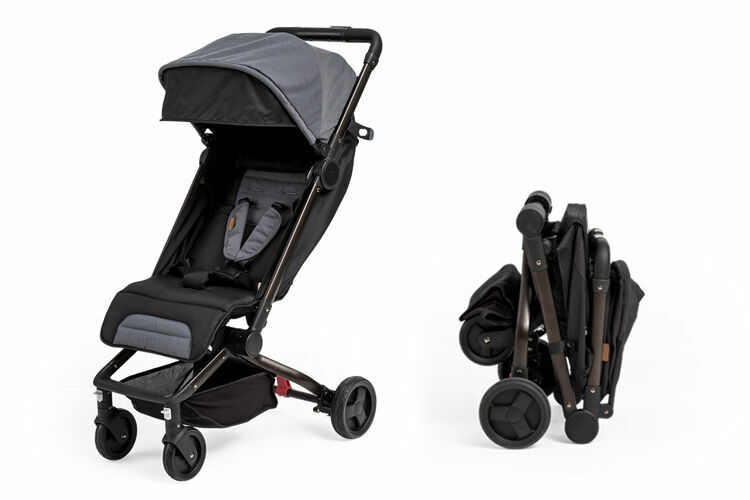 GB Pockit+ ($399.00): This featherweight pocket rocket weighs just 5.6kg and folds down to an uber-compact, handbag shaped package making it all you could ever ask for in a travel pram. Edwards & Co Otto ($399.00): Specifically designed for travel, folds with one click and one hand, in under three seconds, to keep you moving without the fuss. This carry on size stroller has a lie-flat seat and adjustable footrest to grow with your mini traveller. 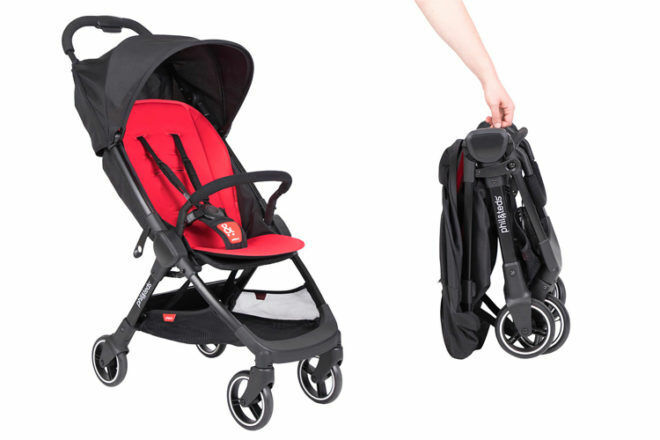 Redsbaby SKIP ($399.00): Enjoy more family adventures with the compact, nimble and featherweight SKIP. 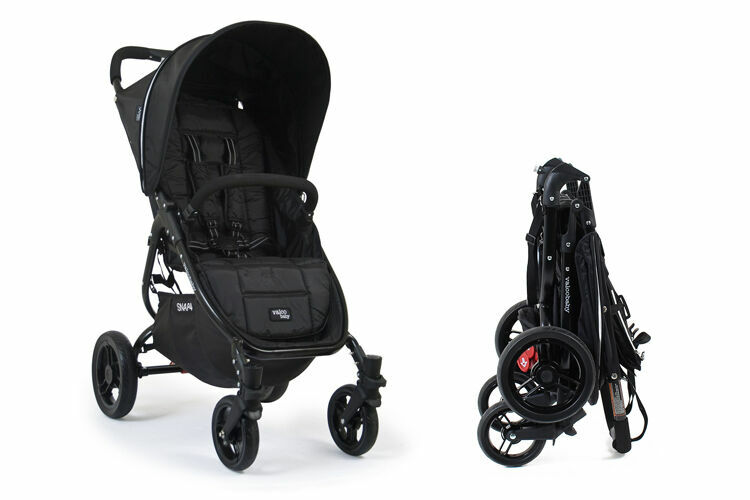 With its super compact fold, convenient carry strap and complimentary cover bag, this is one travel-friendly stroller. 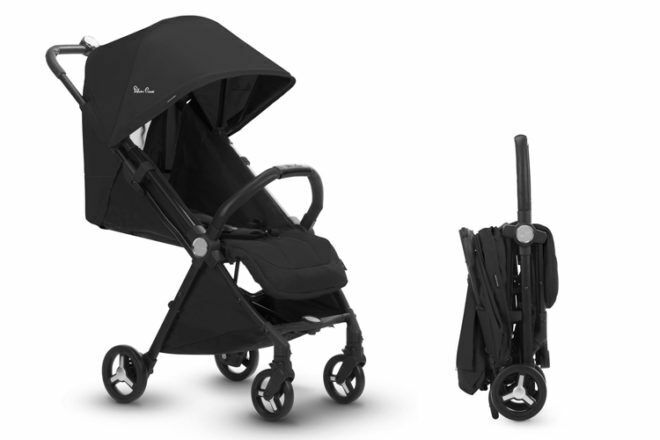 phil&teds go™ ($229.00): Featuring a lie-flat newborn solution and comfortable full-size sling seat with multiple recline options, this sophisticated travel pram will take you and your growing family wherever you need to go. 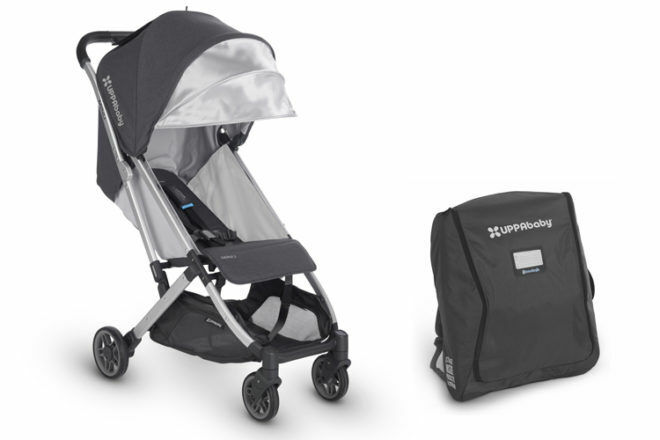 UPPAbaby minu ($799.00): Whether it’s for daily adventures and exciting excursions, the Minu offers modern features in a portable, lightweight stroller. With a one-handed, one-step fold and handy travel case, it’s convenient travel at it’s best. 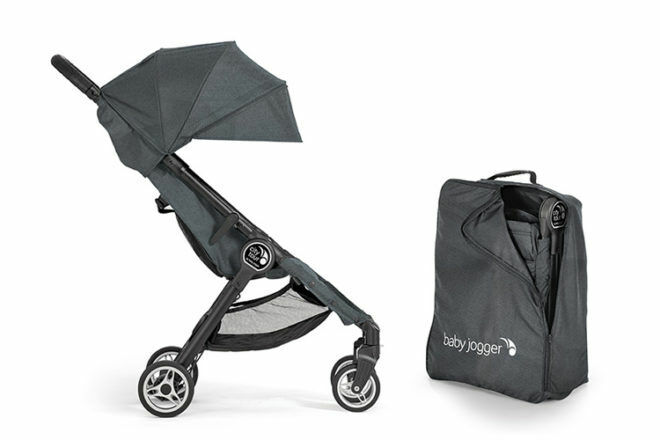 Baby Jogger city mini™ ($699.00): Zooming around the urban jungle has never been easier with this lightweight and nimble pram. It has a sleek design and simple and compact fold for an excellent all-rounder. 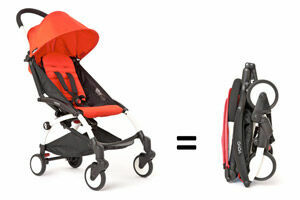 Bugaboo Fox ($1,549.00): Aptly named, the Fox is agile and adaptable, perfect for travelling. 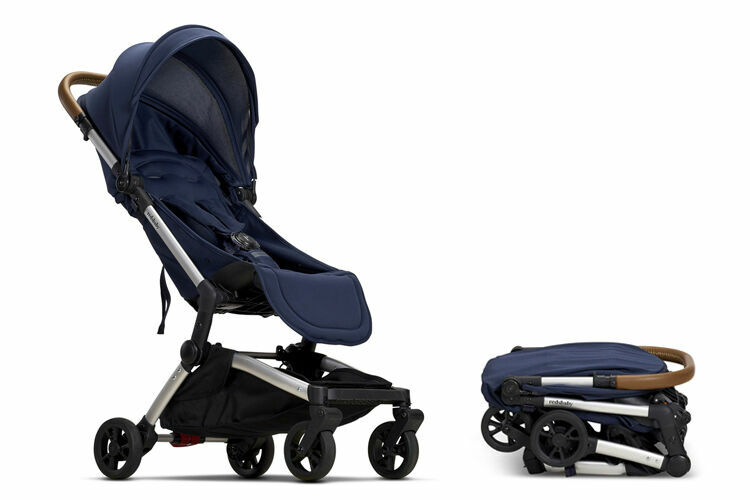 Under 10kg but with all the luxury and safety features you would expect from a Bugaboo. 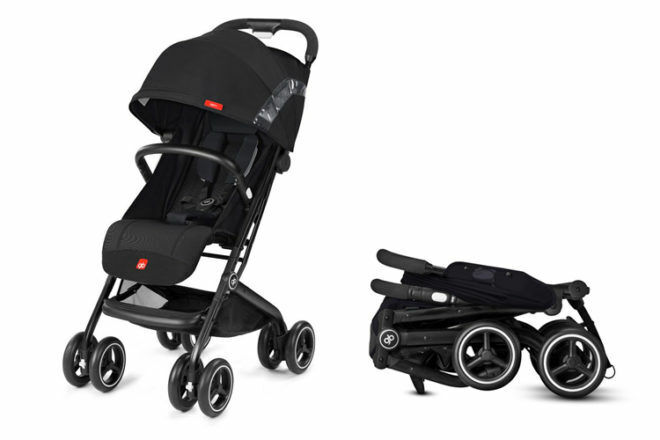 GB Qbit+ ($449.99): A more luxury lightweight stroller, this compact buggy is packed features, including a reclining backrest with a true lie-flat position suitable from birth, a head hugger and bigger wheels all offering comfort and convenience. 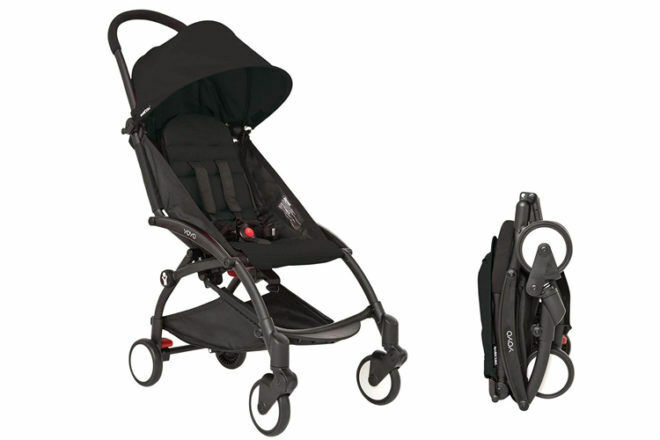 Valco Baby Snap 4 ($349.00): Keeping your baby comfortable with a generous, reclinable seat, the Snap 4 is ultra lightweight and folds down super easy and flat. 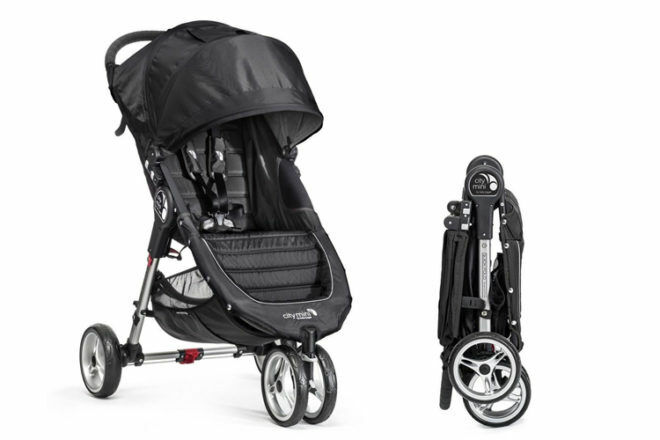 Steelcraft Agile 4 ($299.00): The popular lightweight Steelcraft™ Agile™ stroller features a one-lift fold with auto lock and frame carry handle for fuss-free transport. The large basket and canopy pocket will satisfy all your storage needs. If you’re planning a family getaway or simply doing a bit of research before you fly we’ve got a couple of other articles you might like to read next.